Coolers There are 5 products. 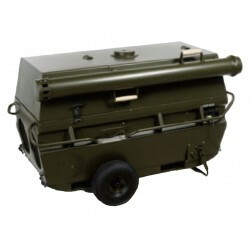 The VA-M40MKII Warm Air Heater is a transportable unit, developed primarily to provide heating in tents or temporary, transportable buildings. The function of the AC-M5MKII Cooling Container is based on a cooling circuit with two powerful fans. 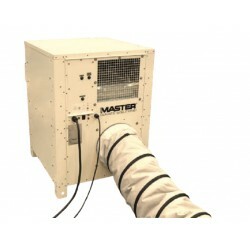 The evaporator section contains the evaporator core and a radial fan, which cycles the warm internal air from the shelter through the cold evaporator core and expels the cooled air through the discharge grill. 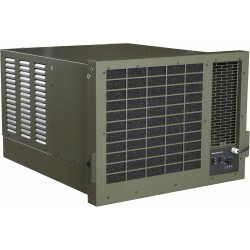 The AC-M11 Air Conditioner is a small, light-weight aluminium air conditioning unit built into a rigid steel frame. 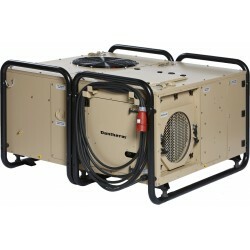 It provides air conditioning in temporary or transportable buildings or tents. 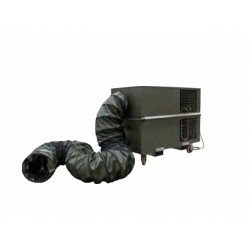 It is designed for outside installation with ducted supply and return air. Thermobile - Coolmobile C / CR are robust units that can heat, cool and ventilate. Their operating temperature for cooling is between +20 and +45 °C. There is also a version available that cools from +10 °C.